Summer is flying by so this is a little broader information than just the next two months. Italy is a country of islands. In addition to the nearly 450 islands off the coasts of Italy, there are many many more in the lakes, streams and rivers inside the country. 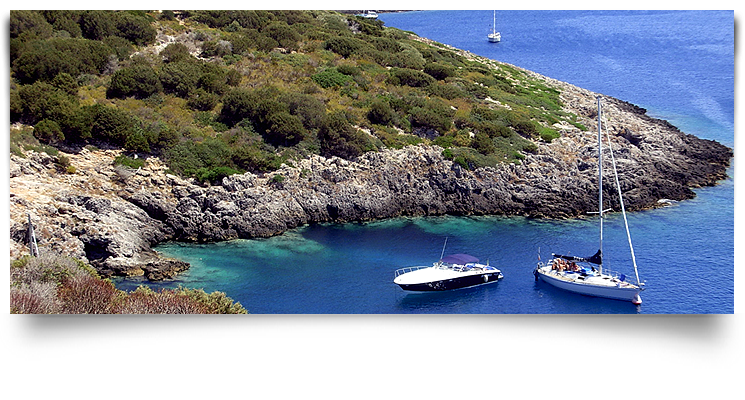 So if you are looking for new experiences, there are opportunities to plan a trip just visiting the islands of Italy. Just this week Giglio finally lost its major tourism attraction for the last few years – The Costa Concordia was finally uprighted and able to float off the reef it’s been sitting on since January 2012. Now life can return to the slower, more normal pace on this car free, pollution free island. It’s a paradise for swimming, snorkeling, or fishing. The beaches are amazing and not crowded. There are surviving remnants of the original Roman gate into the town to visit And there is Giglio Castle, one of the best Italian medieval “borgo”(village). It’s a really interesting village whose towering walls still stand and it is possible to walk where the ancient soldiers did. There are amazing overlooks and vista to enjoy and photograph to make all your friends envious. And, all the restaurants, bars and shops stay open late into the night. 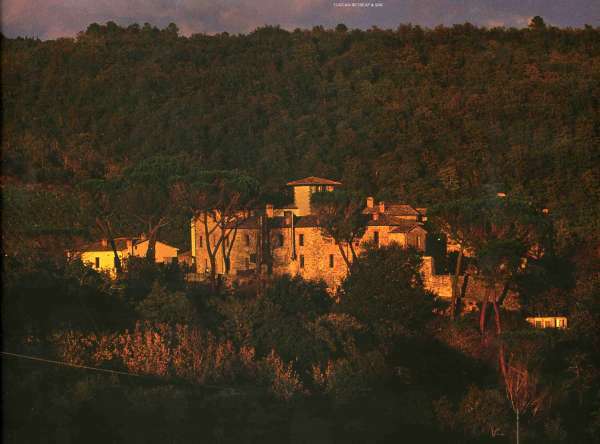 And you are within sight of mainland of the coast of Tuscany and peninsula of the Monte Argentario and Orbetello. It’s really a lovely area. Don’t forget to try Panficato, a medieval sweet still made only in Giglio. Figs and grapes are dried on granite surfaces and underneath the Mediterranean sun. It will remind true lovers of tuscan cuisine of panforte, since they have a common history. In 1544, the Medici family forced many people from Siena to move to the island and repopulate it. They began to make a new version of their panforte using the ingredients present on the Island of Giglio. Another reminder that all Italian cuisine is about using the locally available ingredients. Soak the dried figs in water for 2 days. Chop the figs and add the chopped walnuts, orange peel, apples and pears, pine nuts, dark chocolate. (Every thing is chopped), the unsweetened cocoa powder, cinnamon, jam and a few dried grapes ( raisins). Mix all the ingredients, shape like round loaves and place in 350 degree oven for 40 minutes. There are so many music festivals, art exhibitions and food festivals throughout Italy at this time of year, there’s just too many to list. If anyone is interested in a particular area during a specific month I’ll be happy to send you a listing for wherever your interests lie. Either leave me a note here, or email me directly at ExpresslyItalian@aol.com. As fall enters, there are a number of steam train tours for foods in Tuscany. 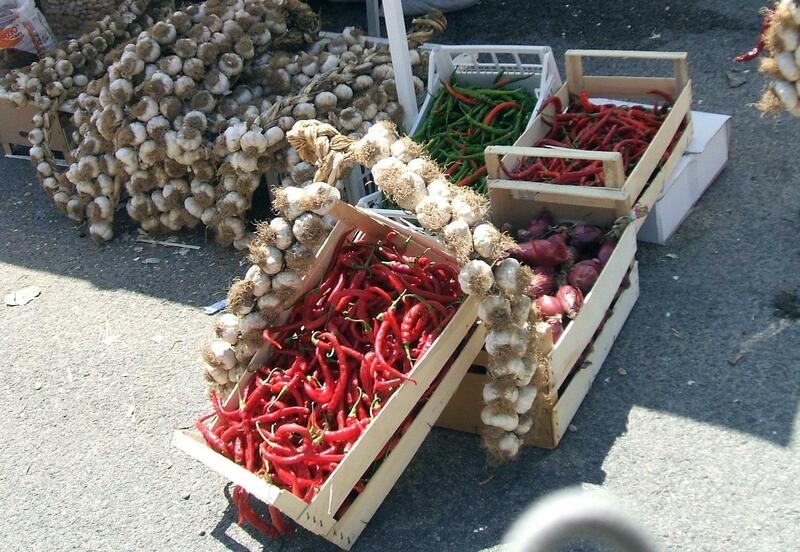 There is a mushroom tour, a chestnut tour and a train that travels around the Siena area for food markets. Of course some of the biggest events are olive harvests. There are sagre, tastings and tours of pressing (frantoio) locations. Teatro del Silenzio” was born from the creative mind of Alberto Bartalini and a group of people who have come together with the aim of creating a place where you can convey ideas, emotions, art, music, dance. “Teatro del Silenzio” is a natural amphitheater carved from the beautiful surrounding hills of Lajatico; a small jewel in the inland landscape of Volterra. The biggest supporter of the project, and Honorary President, is the Tenor Andrea Bocelli. Born in this land, he wanted to create a place where the intense feelings and emotions experienced in a living space with Bocelli and his singer friends.. A really beautiful environment to enjoy music or theater. Siena, the first exhibition “retrospective” by Sergio Staino. Staino is a contemporary artist known for his satire. T here are watercolors and digital works over 300 works in all. At this time of year Liguria is another must see region. Cinque Terre (five lands) which are five small villages right on the water built into steep, craggy hills. Each is so distinct and beautiful I cannot imagine ever being unwilling to travel there. 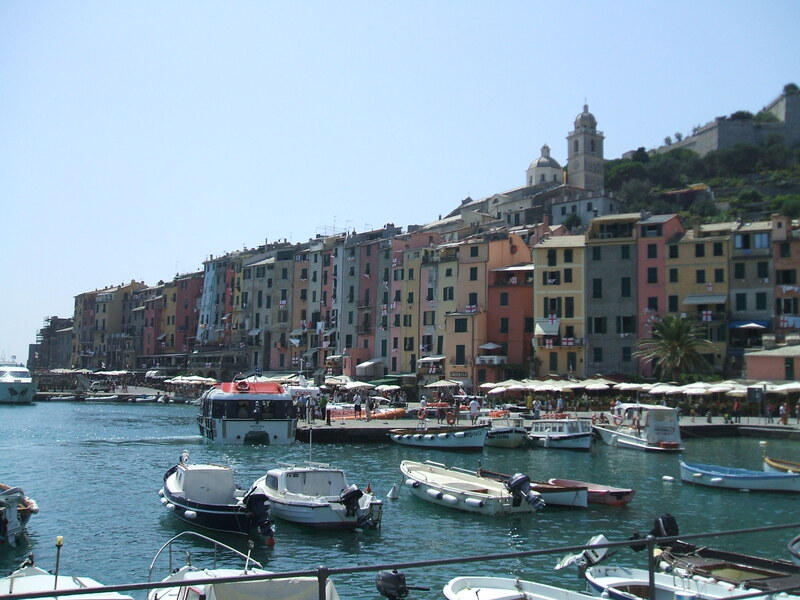 There are trains from Genoa and buses between the villages, or you can take a boat from one village to the next, a trip that is only minutes. 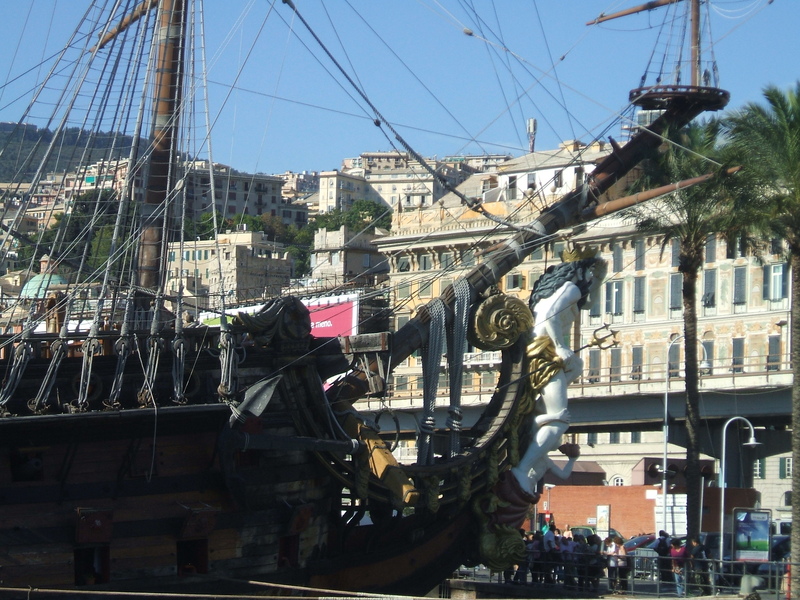 Genoa has often been overlooked as a tourist destination. 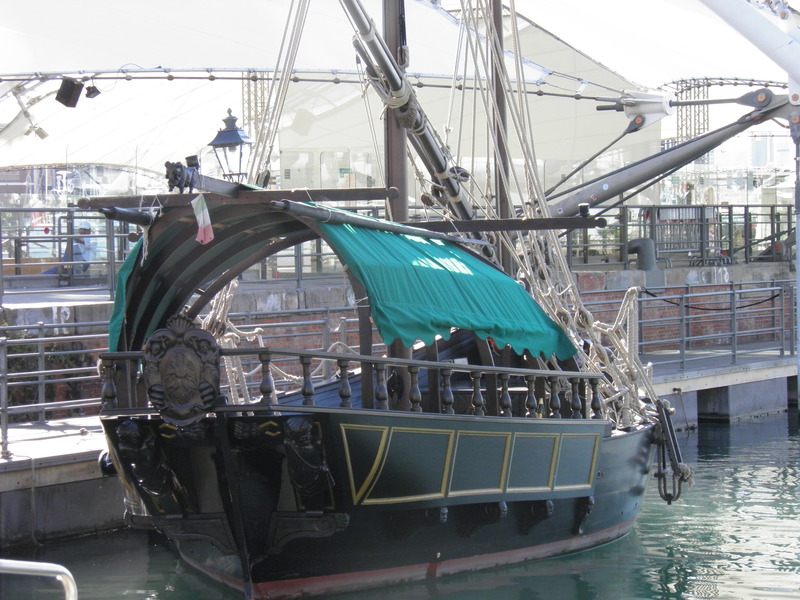 I think because it is the largest port city in Italy and it was kind of uncared for near the port area many years ago. They have done much to improve the tourist experience, including a biosphere that sits in the harbor, and well as an huge and important aquarium. There is also Via Garibaldi. In the 15th century it held only palaces of royalty and the richest and most famous families. Now many are museums and it is still one of the most beautiful streets in all of Europe. You have to taste Pesto in Genoa to know what real pesto tastes like. They have a completely different variety of basil than I’ve seen growing anywhere else. Tiny little leaves that are tender and so flavorful. And, of course, the seafood anywhere along the coast is spectacular. A grilled misto (mixed) fish plate will never be a wrong choice. Piemonte has numerous festivals between summer (Estate) and fall (Autunno). There are sagre (food festivals) in Asti, Biella, Novara, Torino, Vercelli celebrating various kinds of pastas and chestnuts. Torino has numerous feste for stuffed fish (No, I’m certain exactly what this is). Just a reminder, don’t fail to check the larger cities for Civic Arts or Tourism Cards. Most often they cover the most important events and sights and they will save you lots of time and money. They sometimes help avoid wait lines and give you discounts in stores. Check online before you make your trip or stop at the local tourism office (usually located somewhere in the center of town). 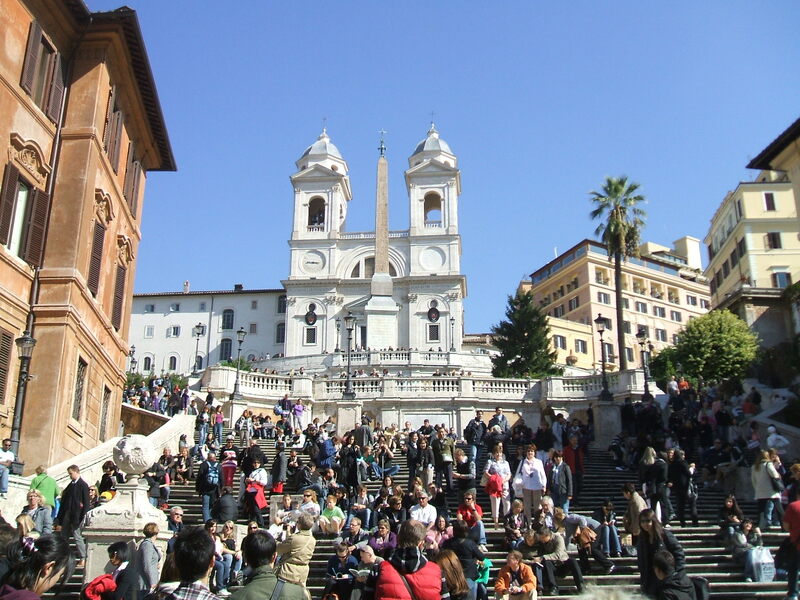 There is no ‘bad’ time of year to visit Rome. There are pleasures to be had any time of year. Different events, different foods, different experiences. Italy is simply a country of such variety and beauty, I will never see enough of it. I hope this motivates some of you to make the reservations for your next trip. I’ve found few places in Italy I do not want to return to see more. And, there is always more. If you’d like to be kept up to date on all our sales please email expresslyitalian@aol.com to be added to the mailing list. You can also find us on Facebook to keep up-to-date with all our latest news. This entry was posted in Italian food, Italy, Maremma, Rome, travel, Tuscany, Uncategorized. So great you talked about Giglio Island. It really is so gorgeous. Your whole blog is fantastically interesting. I think I’ve developed your love of La Maremma. And, I always think of you and your fabulous writing when I’m doing a blog. You are an amazing inspiration.